The Vice Deanship of Information and Publication was established pursuant to the decision No. 4360014026 dated 27/01/1436H issued by the Umm Al-Qura University President. 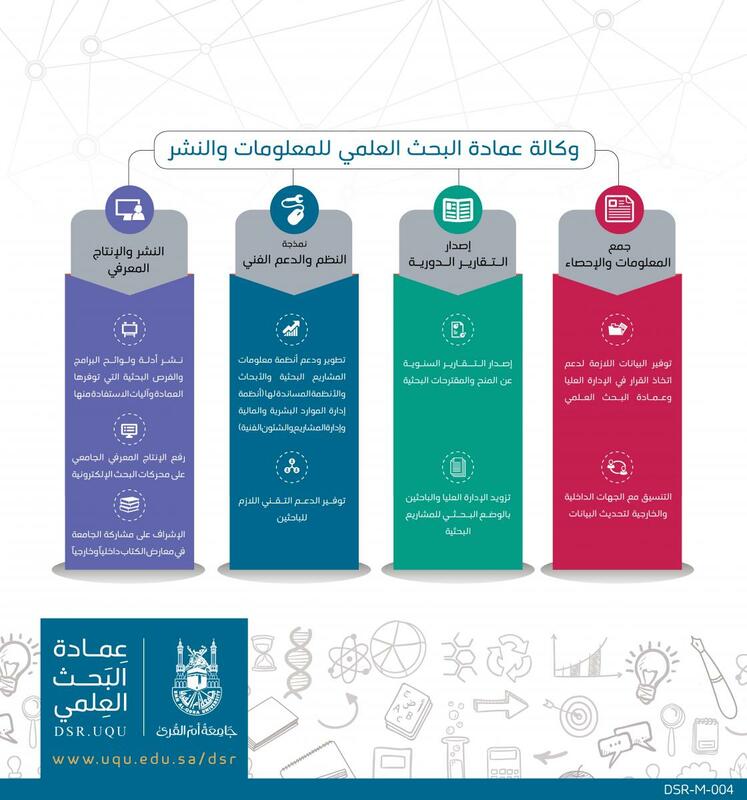 The vice deanship, which is affiliated to the Deanship of Scientific Research and included at its organizational structure, manages all activities related to information technology and scientific publishing and liaises, in that regard, with all related bodies inside or outside the university. The vice deanship organized assigned works within the deanship future plan and divided the same among the vice deanship units to facilitate direct supervision and follow-up.